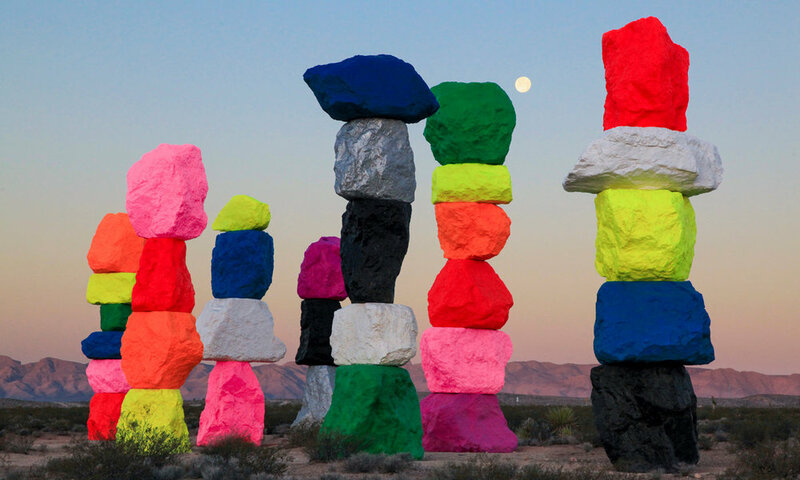 Installed in the barren desert of Nevada beside Interstate 15, the aptly located fluorescent boulder structures explore the link between the power of the natural world and the artificial impact humans have. The project was produced with Art Production Fund, NY & Nevada Museum of Art, Reno. A project with a depth of meaning that highlights and questions our right to impact the natural world, delivered in a striking series of artistic boulder-totems for all to see. Great work.